How are y'all doing this beautiful Lord's day? I've had a wonderful day so far, it looks like I'll be ending the day with brownie ice-cream sundays & a game of Clue: 24 edition with Gabrielle (who, btw, is doing this challenge. Yay!). Anyhow, about my outfit for church today, I decided to wear my brand new hot pink pencil skirt (which I got the inspiration to make last Sunday, after seeing a lady at our church wearing the same outfit I wore today. Yep, I'm a copycat.). 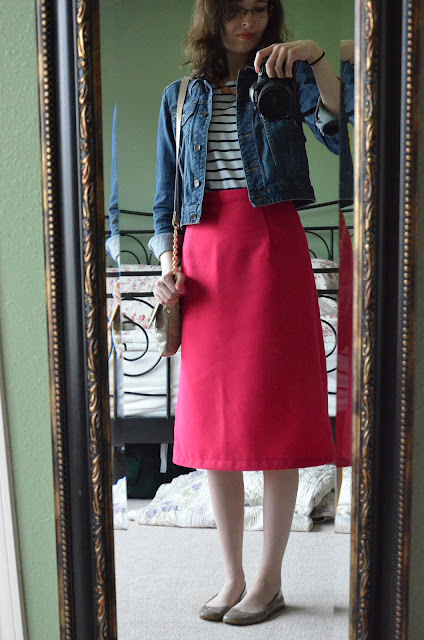 My skirt is also a copy of the J.Crew No. 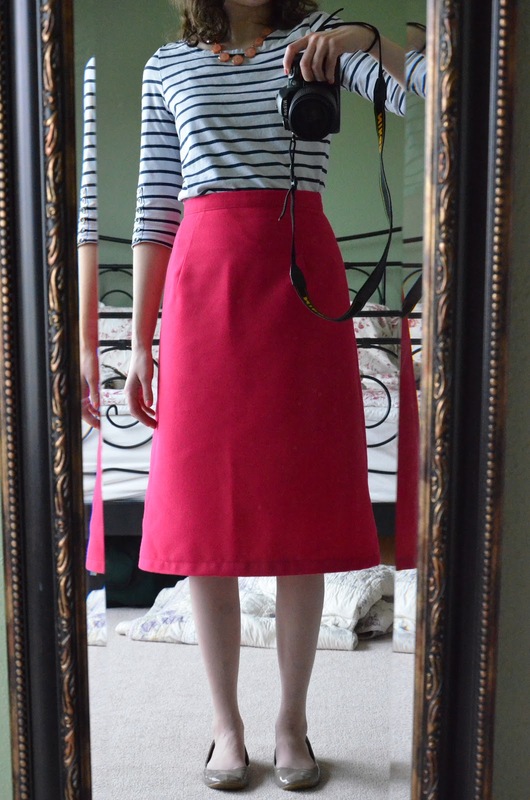 2 pencil skirt, except mine cost a lot less (like $80 - $90 less). I did use a vintage pattern from like 1964, or 1966 for my skirt. If you would like me to do a whole post on how I made my skirt, along with a sewing pattern review let me know in the comments. Oh, throughout this challenge you will see me modeling two necklaces that Max & Chloe let me pick out to wear in outfit posts. If you are looking for nice jewelry, that is of a higher quality than Forever 21 I recommend you check them out. As they have something for every budget, style, and sometimes in several different colors in case you need one in every color. *grin* I love the two necklaces I picked out, as they are different from my norm and I've been wanting to start wearing more jewelry on a daily basis. What did y'all wear today? Link up your first outfit post for the 30 for 30 remix below in the linky. Super cute skirt. I would definitely wear that and would love for you to do a post about it. I love your skirt! The color, style, everything is perfect. They're just so DARN VERSATILE! I'll probably live in my jean jacket for the next 29 days-it's been cold and I only picked 1 other jacket! Oh my, this outfit is absolutely CUTE!!! I'm in love with that pencil skirt <3 <3 The whole ensemble is just to-die-for! And that necklace... jeez it's a adorable! LOVE. That pencil skirt is AMAZING, Ash!! It's fits like a dream.